Unlock the potential of enterprise portals by integrating data repositories and content management system into a single system that delivers seamless user experience. We are an extensively experienced blockchain development company with a detailed understanding of cloud services, AI and IoT. We create distributed ledger applications risk-free and faster. Our in-house, doctorate-level research and design team brings machine learning and artificial intelligence to life. We create highly addictive 2D, 3D and isometric games for mobile phones, tablets and wearable devices. As much as world focuses on the end result, the first step is always finding the right people. After all, a project is only as good as team working on it. We are a full-lifecycle software development company expert in development, customization and integration of complex enterprise software, business intelligence analytics, advanced mobile and web apps —any digital products and experiences that have lasting impact. 125 people in 3 offices, creating beautiful software for 10 years. 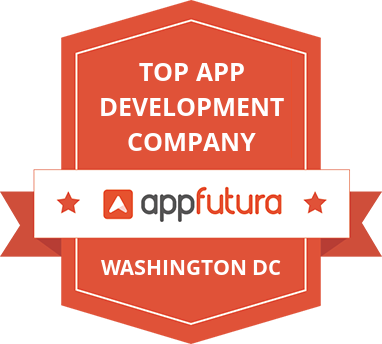 An American leader in custom development of beautiful mobile apps for any platform. We build highly addictive multiplayer realtime 2D and 3D games for mobile devices. Extensive blockchain expertise & the biggest pool of blockchain developers. We develop apps using AR, VR and motion capture to create next-generation platforms. We work with enterprises to build a roadmap to success with BI and Big Data Analytics. Our doctorate-level data scientists and analysts bring machine learning and AI to life. Live your life the productive style. Set goals, achieve them and feel immense self satisfaction.. Turning disabilities into abilities. Glimmer is social dating app specifically designed for people with disabilities. A social media networking app designed to grow your circle of friends. We develop applications for mobile, tablet, web, wearables, and TV. Building a successful product is an art. Dozens of clients have used our Rapid Strategy Workshop™ to get multi-million dollar valuations. Book your workshop to validate your idea! We develops enterprise-grade software platforms for businesses. I found Cubix provided the highest quality product, and as it was our first experience – that is exceptional for an agency to get it right first time. Get in our mailing list.